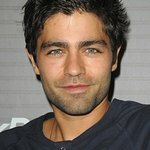 Hollywood actor Adrian Grenier, best known for his iconic role of A-list movie star Vincent Chase in eight seasons of the HBO smash hit and film “Entourage” received this week in New York his designation as UN Environment Goodwill Ambassador. “Together we must usher in a new era of compassion and carefulness through forward thinking environmental programs to drive measurable change,” said Adrian Grenier. "I am personally committed to creating ways in which the global community can come together to help solve our most critical climate crises through routine, collective action. The Empire State Building is one of over 50 landmarks around the globe to turn green today in celebration of nature. Others include the Egyptian Pyramids, Christ the Redeemer Statue in Rio de Janeiro, Niagara Falls and the world’s tallest building – Burj Khalifa.